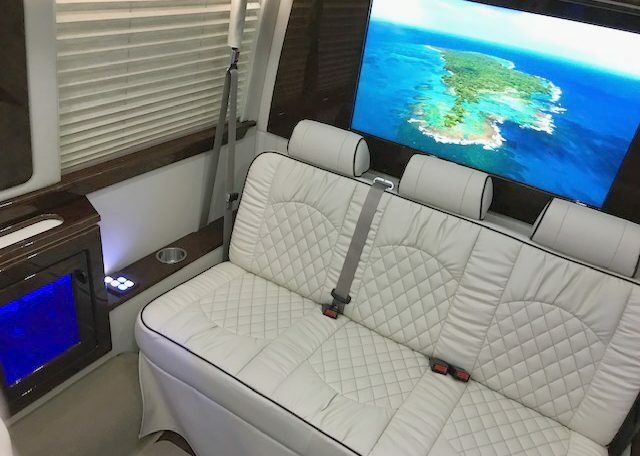 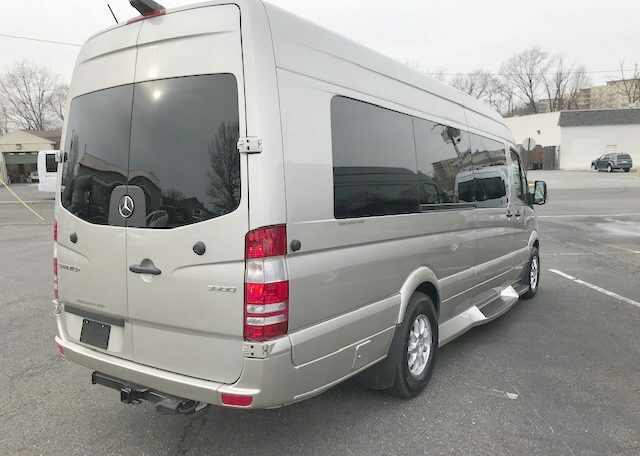 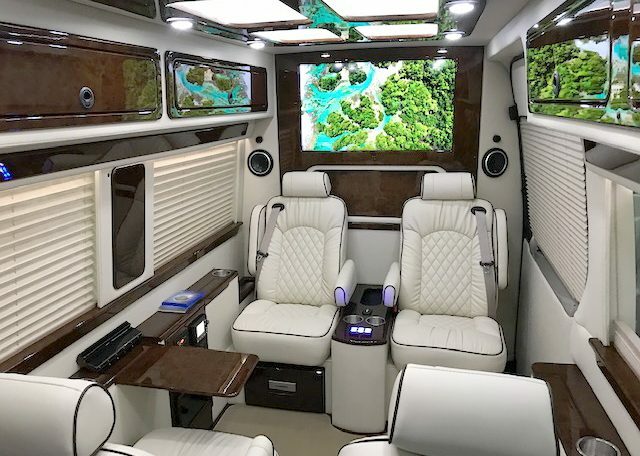 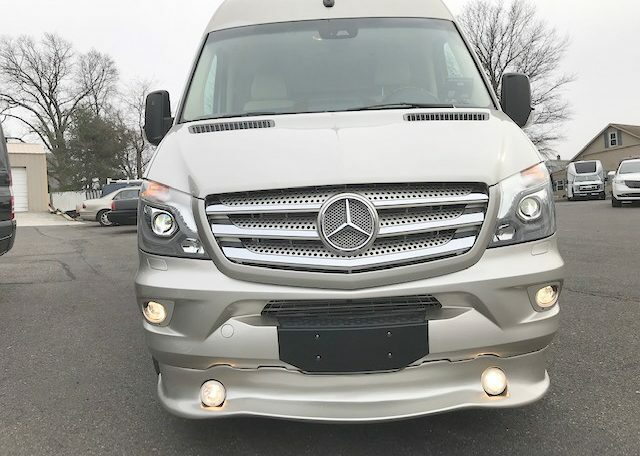 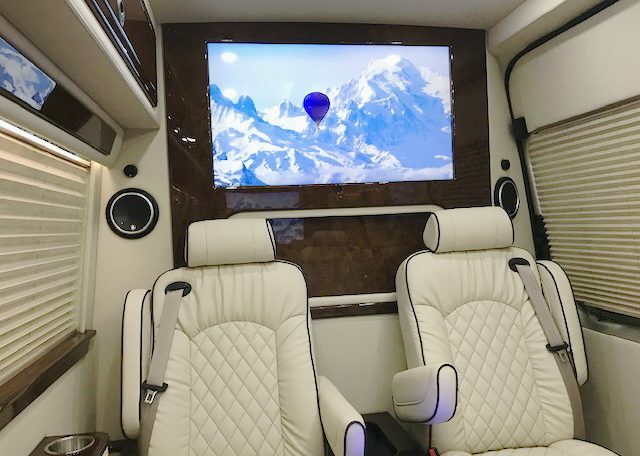 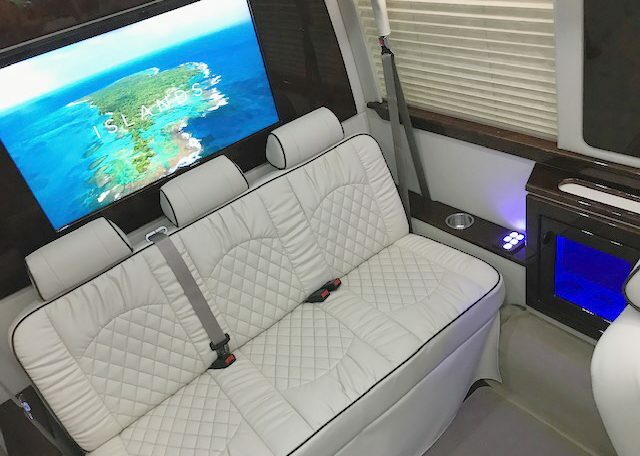 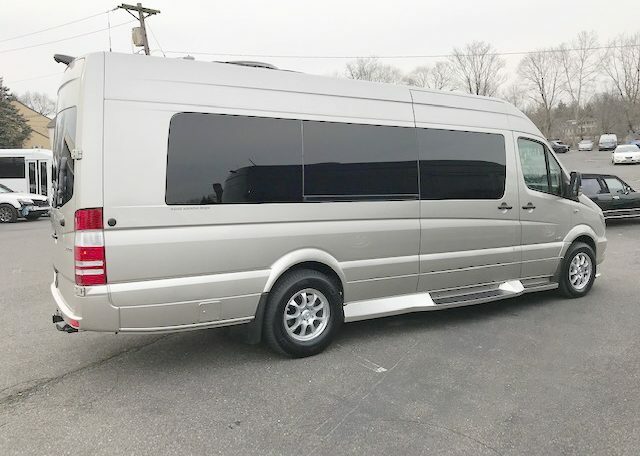 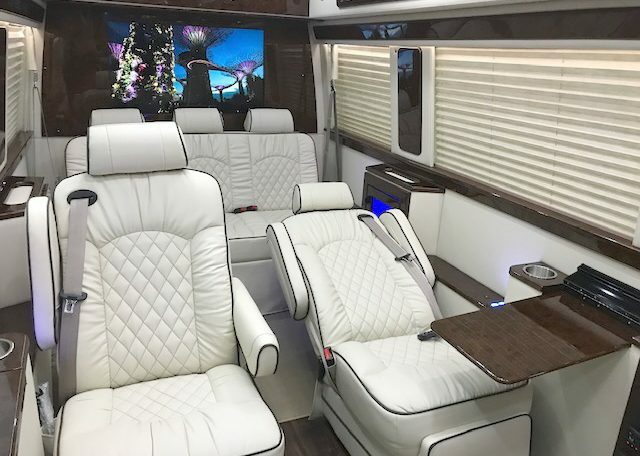 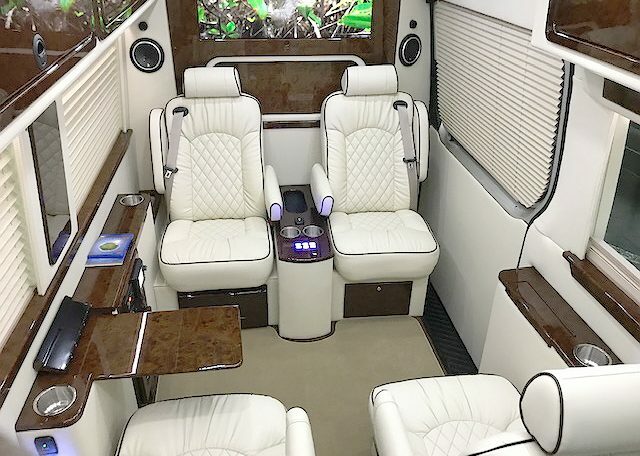 2018 Mercedes Benz 3500 Super Single Sprinter by Midwest, Pearl Silver w/Milkweed Leather (Cream Color), Business Class, 4 Captains Chairs with power divider, Rear power fold down bench seat, Seats recline with power leg lifts, Heated and Massage, (2) 40″ LCD TV’s, Satellite TV and Radio, WIFI, Apple TV, JL Radio and sound, electronic switching, VB Air Ride Suspension System, Level ride and adjustable, Overhead storage, maybach headliner, window shades, 18″ Wheels and tires, 275 rear tires for better ride. 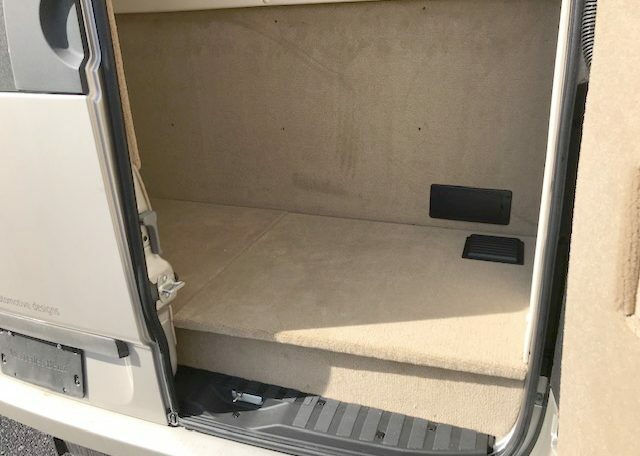 95% better than standard, (4) Exterior cameras with screen, Bumper cover w/4 fog lights, wood floor, overlay mats. 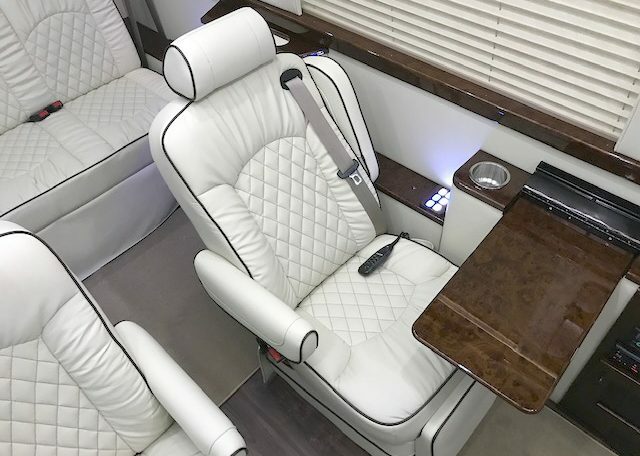 Price was $159,000. 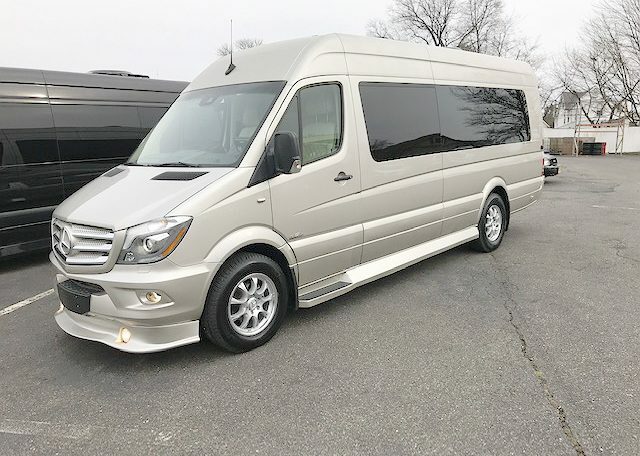 Sale: $144,000. 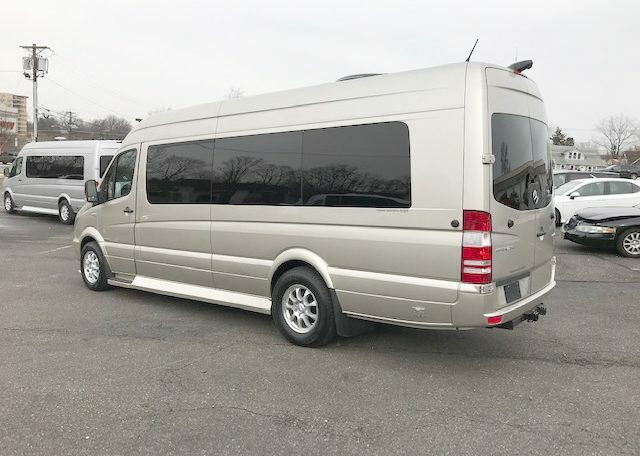 Has 20 miles.